This is the story of Robert Portner, a history of his brewing empire, and the story of his beloved Annaburg. Robert Portner was a millionaire brewer, who lived in Alexandria, Virginia and Washington, D.C., and often spent his summers in Manassas, Virginia. He owned several of the largest breweries in the South at the time. Born March 20, 1837 in Rhaden, Prussia, he came to America in 1853 and started his legacy. He married Anna von Valaer in 1872 and they had 13 children. He began his career working in a grocery store in New York, and eventually became one of the foremost businessmen in the country. When he died in 1906, Portner's estate was worth $1.9 million. The author chronicles the farscinating events of the Portner family, their trials and triumphs. He gives us an in-depth look into the brewery business and the many innovations that Robert Portner helped create, including his invention of what is believed to be the first air-conditioning system in the U.S. We see how his empire crumbled when Prohibition swept the country. We also visit Annaburg, Robert's beloved summer home in Manassas, which he designed for himself and his family. Annaburg is probably the first fully air-conditioned home in the country; its grounds included a dairy, deer park and a man-made lake, complete with swans. In addition, the author tells us the history of the many buildings Robert Portner built in and around Washington, and how they fared since his death. After reading the wonderful stories and poring over the many pictures, the reader will undoubtedly feel like a member of the Portner family. Also included is a bibliography and full name index. Autobiography Of An Octogenarian. Robert Enoch Withers, M.D. : Colonel 18th Regiment Virginia Infantry, C.S.A. 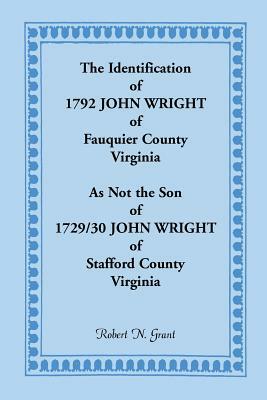 ; Editor Lynchburg Daily News; Lieutenant-Governor of Virginia; Senator of the United States; Member of Board of Regents of the Smithsonian Institute; Consul of the United States at Hong-Kong; Past Grand Master of the Knights Templar of the United States, Etc., Etc.